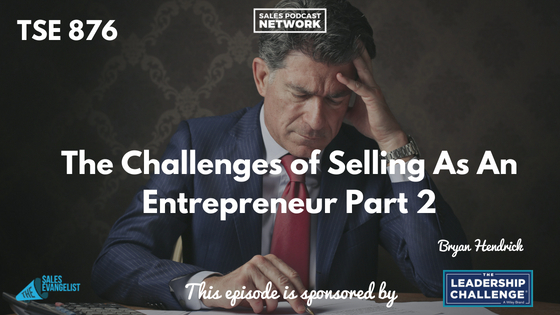 Sales is one of the most crucial parts of entrepreneurship, but many of us come up short. Because entrepreneurs occupy multiple roles, sales often gets lost in the shuffle of running our own businesses. 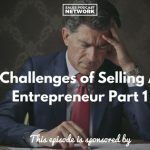 On today’s episode of The Sales Evangelist, Brian Hendrick talks more about the challenges of selling as an entrepreneur. We first heard from Brian in episode 873 as he talked about founding Cascadian Landworks in a city that was new to him and an industry that was, too. Brian learned quickly that he needed a deep understanding of the industry he’s working in so he would know who to talk to and what would resonate with them. Like all salespeople, he learned that it’s vital to know who to go after. He typically targets project managers. He also learned that he has to be very respectful of his prospects’ time because his portion of any construction project is a very small component. Instead, he has found that it makes the most sense for him to seek time with project managers who typically deal with smaller aspects of larger projects. Entrepreneurs must know who the key contacts are for their business. Brian said that the “top of funnel” activities and cadence have been an important part of his business development. He realized several months ago that he had to get off of the revenue roller coaster if he was ever going to be able to move from working in the business to working on the business. Entrepreneurs always have a flurry of business development in the early days of the company. Once they win the opportunity, they often get sucked into working on that project. Focusing on your funnel allows entrepreneurs to keep the sales pipeline full and grow their businesses with some level of predictability. No one cares about your business as much as you do. Even if you give someone else the reins, they may not operate with the same conviction that you do. Though you might work into the wee hours of the night, they might work until quitting time. Even if you hire managers, you must have a personal connection to your sales. You must hustle because you need this thing to gain its own roots and run. Part of that involves fostering relationships with prospects: staying top-of-mind with your ideal clients. Humans respond to emotional connections, which result from spending time with people. Develop empathy for your clients and lead them. Set the example. The construction industry tends to be fiercely loyal, making it tough to grab attention from a client that has an existing relationship with your competitor. In an effort to overcome that dynamic and recession-proof his business, Brian has shifted from trying to find projects he can help with. Instead, he seeks to share best practices his ideal clients can incorporate into their operations. It ties back neatly to gaining a deep understanding of your prospects. Although he acknowledges that there are times when it’s appropriate to give up, he guards against getting discouraged by the struggle. Connect with Bryan on LinkedIn to share what you’re doing or find out more about what he’s doing. The Sales Evangelist Hustler’s League is an online group coaching program designed to help sellers of all levels. Whether you’ve been selling for 15 years or 3 days, we’ll give you all the coaching and guidance you need to perform well. The course is only $167 a month for three months, and it will connect you with sellers in all regions and industries who can share their struggles as you share your own. 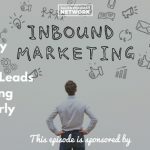 Also check out the Video Jungle podcast, your source for marketing and selling your brand using video. Plan, create and share your way to better content and strategy. This episode was brought to you by our friends at Wiley, publishers of the book Stop Selling & Start Leading. It’s a blueprint for sellers based upon years of research about the things buyers hate.